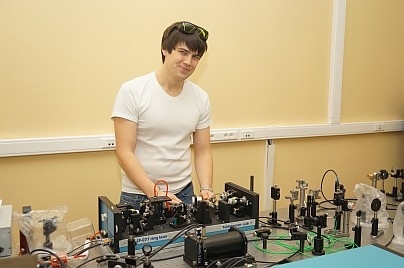 PhD student in Laboratory of Quantum Memory. Key words and areas of interest: Quantum Optics, Solid-State Quantum Memory, Photon Echo, Dynamical Decoupling, Rare Earth ions. R. V. Urmancheev, K. I. Gerasimov, M. M. Minnegaliev and S. A. Moiseev, Photon echo area theorem for optically dense media, Bulletin of RAS: Physics – 2017, Vol. 81, N. 5.